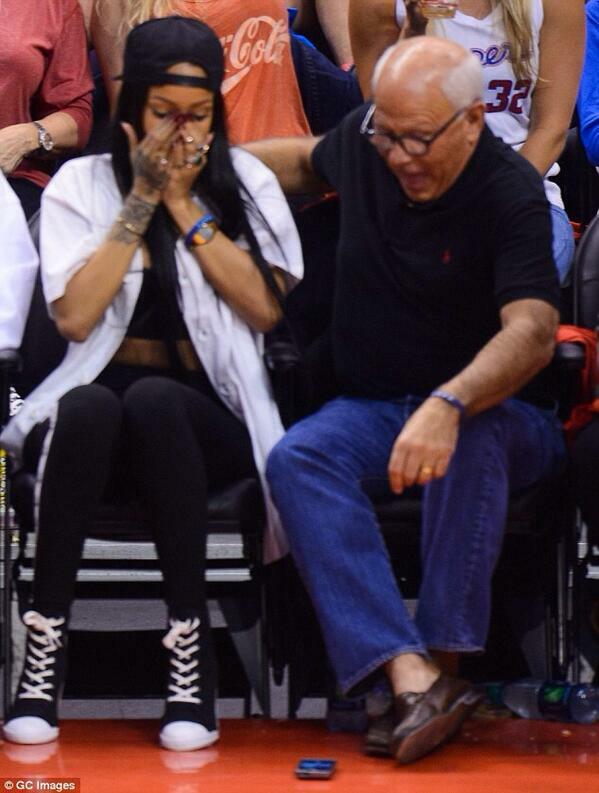 Steve Soboroff, president of the LA Police Commission, was attending a Clippers game and somehow got seated next to Rihanna. At some point, Soboroff got the bright idea to take a selfie with the singer, who promptly dropped his phone, breaking the screen.. The point of the picture (other than to make Soboroff the new cool guy at the office) was to raise support and awareness for the LAPD. RiRi volunteered to play photographer but managed to drop the phone while so doing. And, from what Soboroff writes on Twitter, the singer also damaged it in the process.